Take your mind off the busy day with this new addition to our relaxing chair family. 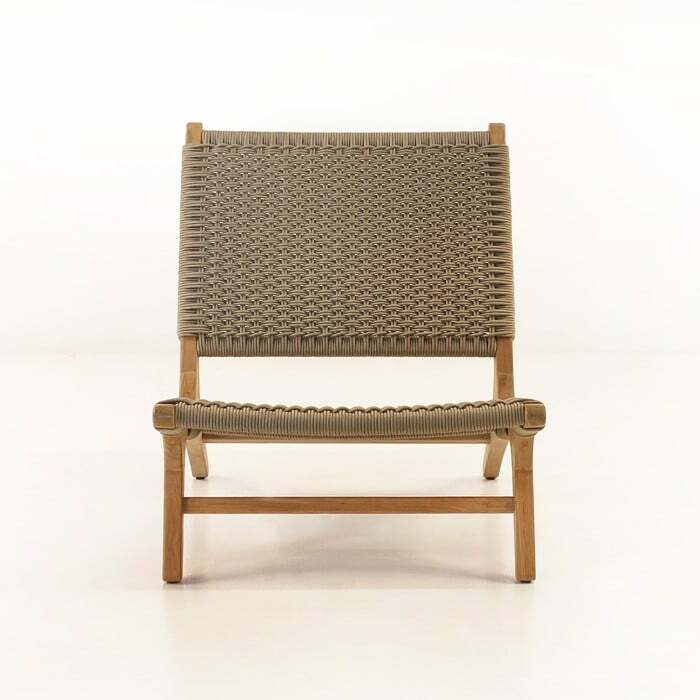 Unlike anything else we offer, this beautiful chair is a combination of A-Grade teak and outdoor polyfibre as the seat and back. This new style is sure to impress any guest and wow anyone who sits in it. 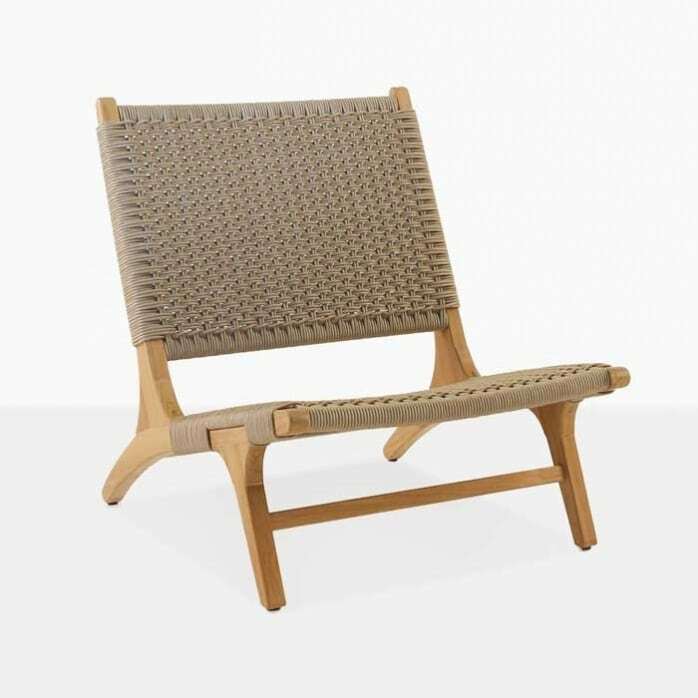 The low seating height makes it the perfect chair to put on a patio or balcony to overlook the beach, city landscape or country sights. 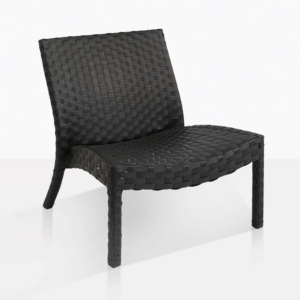 The polyfibre weave used for the seating area as well as the backrest staples this unique design. The weave gives cushion and adjusts to whomever sits on it. The strapping is made from PVC and PP yarns that make it suitable even for marine applications. This gives the chair the added benefit of flexibility and comfort. 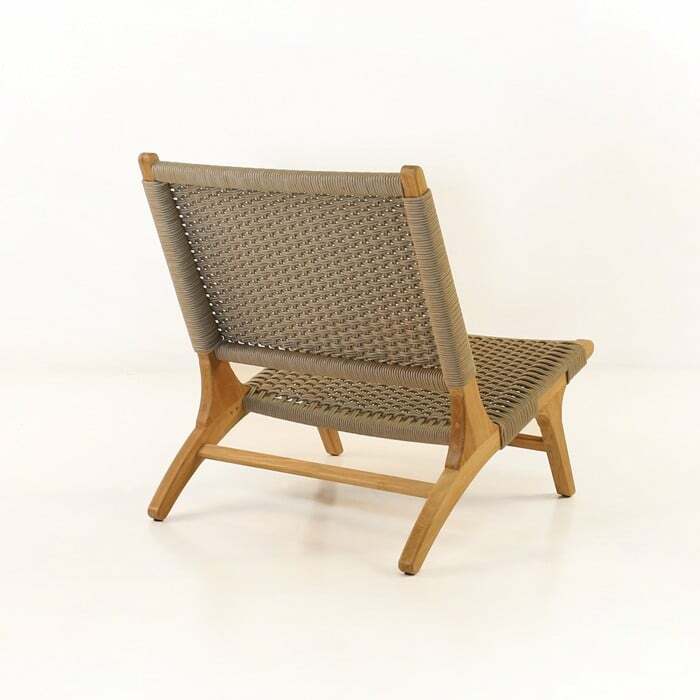 Because of the high quality materials that we use for this chair, it is perfectly fine to be used for the outdoors. Also in this collection is our Tokio dining chair. Using identical materials, we offer a chair that seats at a dining height. Supporting the weave is the frame built from solid A-Grade teak wood. 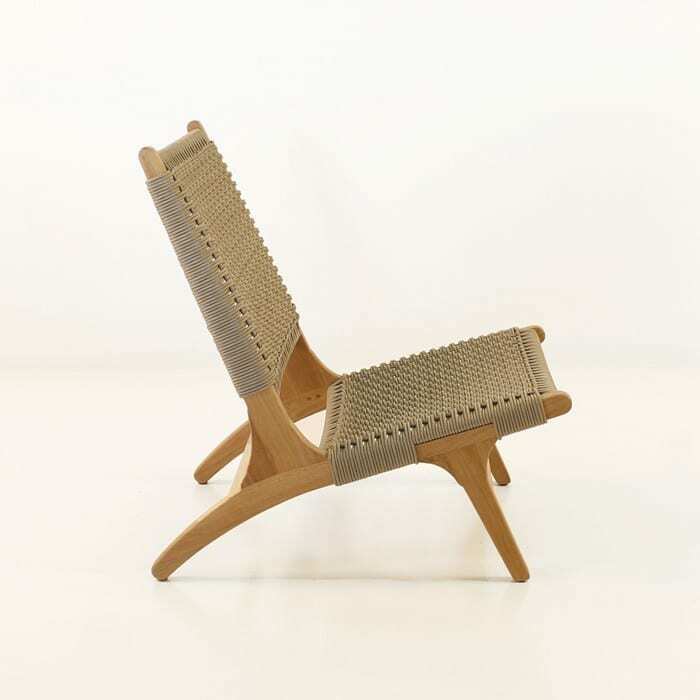 The frame is unique because of its low, angled legs, which gives it the low seating position. This teak wood is meant for the outdoors and is able to look just as good as the day you bought it with light maintenance for stains and mildew. The maintenance and care for this chair is extremely simple. The Sunbrella® strapping can be cleaned with a soft brush and light soapy water. The same cleaning method applies for the frame made up of Grade-A teak.